Forget sugar. Protein is the new smoking. A recent study in Cell Metabolism prompted numerous headlines proclaiming that protein (specifically animal protein) may be just as bad as smoking for your health. Before we jump on the anti-protein bandwagon let’s take a look at the actual study. The researchers used the results from the NHANES (National Health and Nutrition Examination Survey) in combination with mouse and cellular studies. There were over 6, 000 participants in the NHANES which is quite a robust sample. Right off the bat it makes me suspicious that the researchers would also need to incorporate mouse studies. We also know that using nutrition data from self-reported surveys is far from ideal: people tend to under-report food intake. In this case the researchers used 24-hour recall. The pro to this is that it’s one of the more accurate methods for collecting dietary data. The major con to this is that the researchers are assuming that food/nutrient intake from one day is representative of intake every day. That’s a huge assumption. I know that I might eat animal protein at a couple of meals on one day while eating none on another. That would mean I could fall into either the low or high protein intake group depending on the day data collection was undertaken. We also know that mice are not humans (duh) and that research conducted using mice may not be translatable to a human population. Okay, not enthusiastic about the methods, but let’s take a look at the results. The researchers found no association between all cause, cardiovascular disease, nor cancer mortality and protein intake in all participants over the age of 50. They did find an increase in mortality in participants in the high protein (20% or more of total daily calories from protein) group who had diabetes. Naturally, they could not say with certainty if the high protein intake was the cause of diabetes mortality. However, when they broke the results down further (splitting the group into those aged 50-65 and 66 and up), they found a relationship between high protein intake and all-cause and cancer mortality in the 50-65 age group. They reached the conclusion that animal-based proteins were the cause of this increased mortality because when they controlled for animal protein the “association between total protein and all-cause or cancer mortality was eliminated or significantly reduced”. This was not seen when plant-based protein was controlled for. Interestingly, the opposite was found in the over 66 years age group (i.e. higher protein intakes reduced risk of mortality from cancer or cardiovascular disease). It appears that the researchers didn’t control for all confounding variables when they were examining mortality and protein intake. There is no mention of controlling for physical fitness, economic status, or employment status. These are important factors to consider when investigating the effect of diet on mortality. So, what can we conclude from this study? 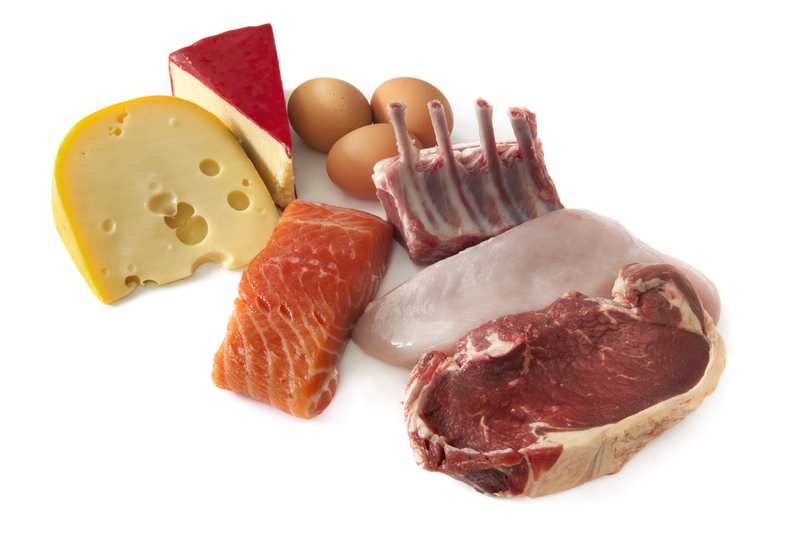 High animal protein intake may increase your risk of mortality if you’re between the ages of 50-65. After that, it may have a protective effect. This suggests that protein plays different roles at different ages and also means that we cannot extrapolate the results to those under the age of 50. We also can’t be certain that the results are accurate due to the limits when using dietary recall data as well as the lack of control for certain potential confounding variables. There may be some benefits to including more plant-based sources of protein in our diets; however, it may be premature for us all to go vegan. After writing this post, I read the review of this study on Examine.com in which they address the mouse study. They also make some really good points about the protein-human study, including the fact that there’s no differentiation between protein sources beyond separating animal and plant proteins (can we really assume roast chicken is the same as beef jerky?). I highly recommend taking a look at their review. Tags: and Overall Mortality in the 65 and Younger but Not Older Population, animal protein, cancer, cell metabolism, CVD, diabetes, health, Low Protein Intake Is Associated with a Major Reduction in IGF-1, mortality, nutrition, protein, research, smoking, vegan | Permalink.